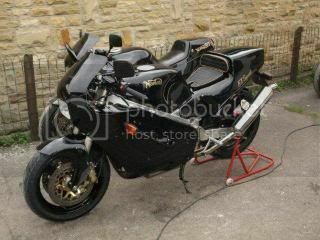 Topic: Seeking pictures of Norton F1 Sport on stand-1991 NEC Motorcycle Show. Mark Bigger keep posting he wants another f1 on the rotary fb page. Topic: Wanted: F1 Left Hand Fork Leg, or it's lower casting. My memory may be playing trick but i am sure richard told me that the core on the f1 and Commander are the same it was just the caps that were differant. The rads they modify was reliant. My memory may be playing trick but i am sure richard told me that the come on the f1 and Commander are the same it was just the carbs that were differant. The road they modify was reliant. Dose it start on the starter button and stop when the starter button is released, if yes its the ballast resistor that's failed, its under the seat on a f1 sport, on the left hand side.